I had so many titles for this post in my head, mostly Cheeky Girls inspired (does anyone even remember the Cheeky Girls??) but I decided to go simple and let the product do the talking. This purchase totally happened by chance but I'm so happy it did because I absolutely love it and it's a pretty good deal too. So in March my boyfriend and I went Leeds, and after a pretty unsuccessful day shopping as nothing was looking good on me, I wanted to at least get a new make up item to make up for it. I'd been wanting the Rockateur blush for a few months as honestly my blush collection is pretty poor. I couldn't see Rockateur anywhere so I asked one of the assistant and she showed me the Benefit Cheekathon palette on the top shelf, which includes Rockateur, Dandelion, Hoola, Dallas and Coralista as well as nice little brush. The best thing about this palette is they are all full size, and only £44.50, which is about the price of two blushes otherwise. I wanted it immediately especially since Dandelion was further down my wishlist. I snapped it up and the sale was done. 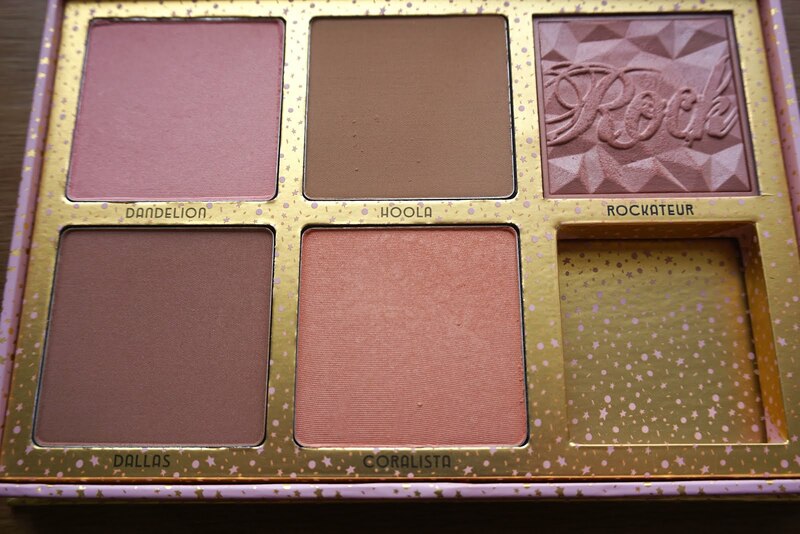 I've used Rockateur nearly every time I've done my make up and I absolutely love it, it's such a gorgeous shade and can be build able which is nice. Dandelion is my other favourite for more natural days, and the pink is really nice for pale skin. Honestly, I'm yet to try dallas and hoola on me, only because I've tried Hoola with the bronze of champions palette and it was quite dark for my skin tone, so I think I need to wait until I have a tan or just be a little more light handed. I think Dallas would look great on a night out though. I think the palette is a really great deal, I only wish that it was a little easier to travel with as I'd like to take it away with me, but hey ho it'll just take a bit more room I suppose! 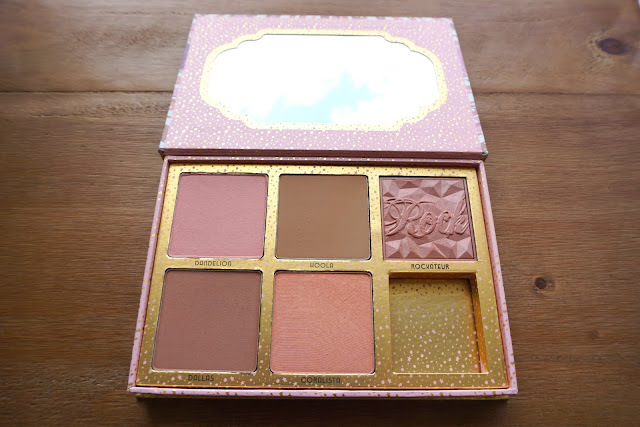 I found my Benefit Cheekathon palette in a House of Fraser store, however you can also get it from the Benefit website here. Whats your favourite benefit product? 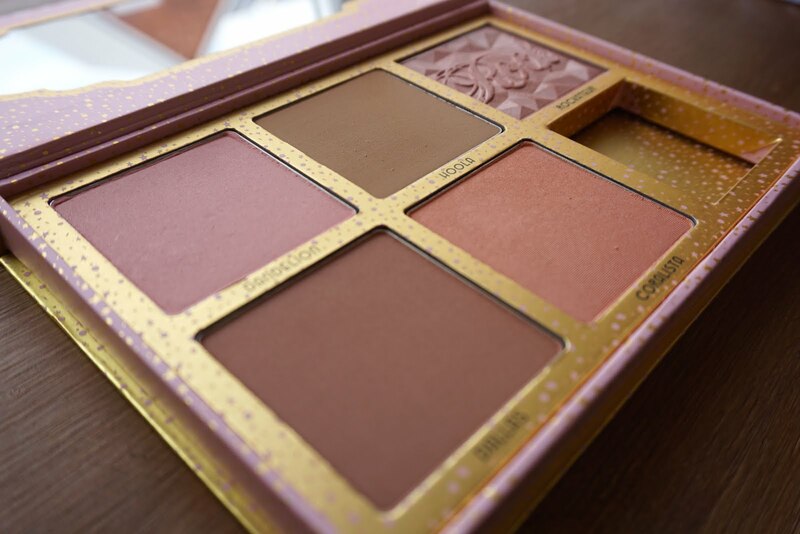 It's really good if you want to update your blush collection!